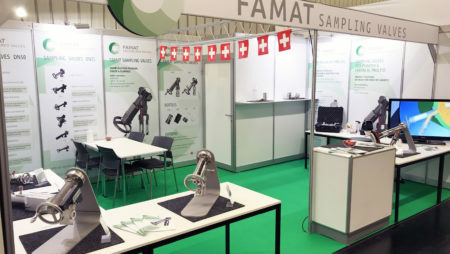 For the Pharmaceutical, Bio-technological and Chemical industry, FAMAT SA supplies a complete range of products and services allowing the sampling of products in the best conditions of efficiency in terms of representativity of the samples, security, cleanliness and availibility. FAMAT SA has today offices, distributors or agents in most major countries in Europe, Middle-East, Asia and America. This global network allows us a close cooperation with our customers and end-users, to guarantee a full satisfaction at all levels of the supply chain. Founded in 1974, FAMAT SA is certified ISO 9001 : 2015. Its procedures guarantee the best services in compliance and on-time deliveries with most industries standard. 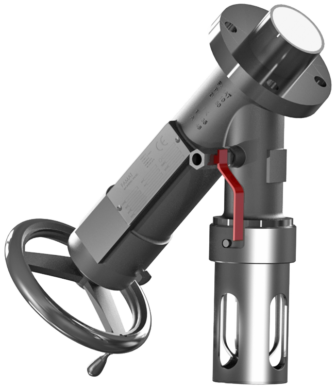 FAMAT Quality System is also approved in accordance with requirements of European Pressure Equipment directive 97/23/EC, (PED). Most of our products have been approved according the applicable standards for use in Explosive Atmosphere (94/9/EC-ATEX), low fugitive emission (ISO 15848-1), and fire safe design (ISO 10497 – API 607).